BASDA gained a mention in the June 2013 Government publication of their strategy for an information economy in partnership with Industry. “For UK businesses, particularly small and medium sized enterprises, to realise the full benefits of e-invoicing, it is important that the systems are easy to install and use, and pricing is flexible enough to suit the needs of diverse businesses. E-invoicing providers have committed to looking at ways to improve interoperability and accessibility of e-invoicing for SMEs, including through the Business Application Software Developers’ Association Interoperability Charter.” (page 23). This strategy sets out a plan for government and industry to continue to work together to promote the success of the UK information economy sector. 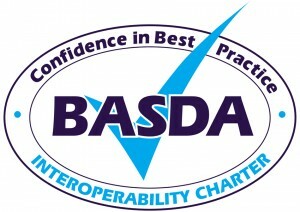 BASDA members demonstrate their commitment to interoperability by signing up to the BASDA Interoperability Charter – find out how you can get involved and influence government strategy.